As Canadians, we spend our entire lives enduring cold, long winters. The good news is, YOU are in the perfect position to put an end to your suffering. The US is in the midst of a huge housing crisis and, as Canadians, we are in the perfect position to capitalize on this rare but tremendous opportunity! These conditions have opened the door of opportunity for thousands of Canadians to purchase vacation and retirement homes for the enjoyment of themselves and their families. But be warned, there are some hurdles in the way of buying these phenomenal deals. For most people, the first step in finding the perfect vacation home, is contacting a Realtor. Unfortunately, the public MLS is not the best place to find the best deals. Before a foreclosure reaches the MLS, it must go through a long drawn out process, including pre-foreclosure, short sale and auction. After exhausting every other approach to sell a property, the banks will then list the property on the MLS as a last resort. This means the property has been passed over by time and time again. Most properties on the MLS are far from the best deals. Generally speaking, most distressed properties need a good amount of renovations to get them up to the high standard that you expect from your vacation home. This involves getting inspections done, obtaining repair quotes, researching and hiring contractors, supervising the work being done and final inspections to ensure the job was done properly. This process can take upwards of a couple of months and there is always the risk of being taken advantage of by unscrupulous contractors. To many people this process can be overwhelming, stressful and intimidating. And, in case your are the handyman type, don't even think of doing your own renovations. The US government frowns on foreigners taking jobs away from Americans and you run the risk of being red flagged by the border patrol, which may prevent you from even coming into the US to enjoy your vacation home! Another issue that foreign buyers run into is who will look after their property while they are not there? Many problems can arise for homeowners if their homes are not properly maintained and looked after. Everything from regular wear and tear to insect problems to theft and vandalism. The last thing you would want is to finally get away from your daily grind to enjoy a family vacation and to find your sanctuary a huge mess. The stress alone from worrying about your vacation home can become unbearable. At Auxo Homes, we don't rely on the MLS for our deals. Our team has access to pre-foreclosures, short sales, auction properties, wholesale properties and properties not listed to the public through our bank contacts. This allows us to hand pick the best deals at huge discounts and pass those saving on to our clients. 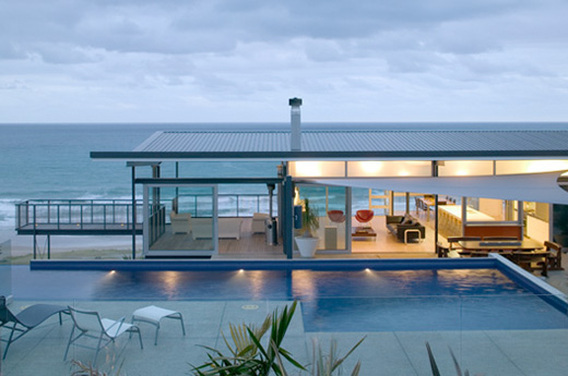 We work with top notch property managers who are experienced in working with vacation homes. They are available to monitor and take care of your home while you are not here, as well as renting out your home to others when you are not using it. This is optional, but is a great way to cover your yearly costs and even help pay for you new vacation home. How great would it be to own a beautiful home and have someone else pay for it!? One of our specialties at Auxo Homes is vacation and retirement homes. We have built a solid team that allows us to find the best deals for pennies on the dollar, renovate them professionally and inexpensively without sacrificing quality and maintain and manage them so they are always in tip top shape and ready for your to enjoy! You will not have to worry about your home while you are away. All in all, we provide a total solution to our clients, so they can rest easy knowing they got the best deal possible and ongoing support so they can enjoy their new vacation home for years to come! Let Us Find Your Dream Vacation Home! Tell us what you want in a vacation home and we will put our team to work for you. Our team of experts will locate, renovate and maintain your vacation home so you get what you want, for a outstanding discount off the retail price!